Abstract: Airwheel balancing scooter A3 is one of two new products released on 18 June 2015, which is also a coveted product of the most concern in the release conference. 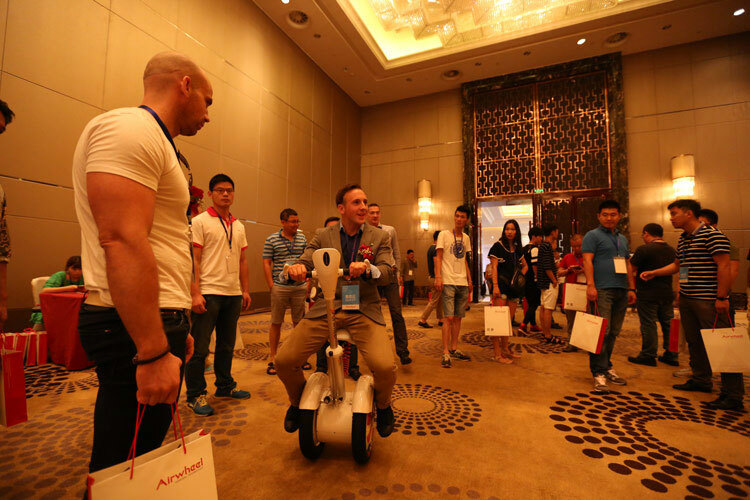 In Airwheel’s 2015 new product release conference, Airwheel A3, a scooter of a new series, attracted much attention. Currently, A3 are not yet available on the Internet or physical stores. 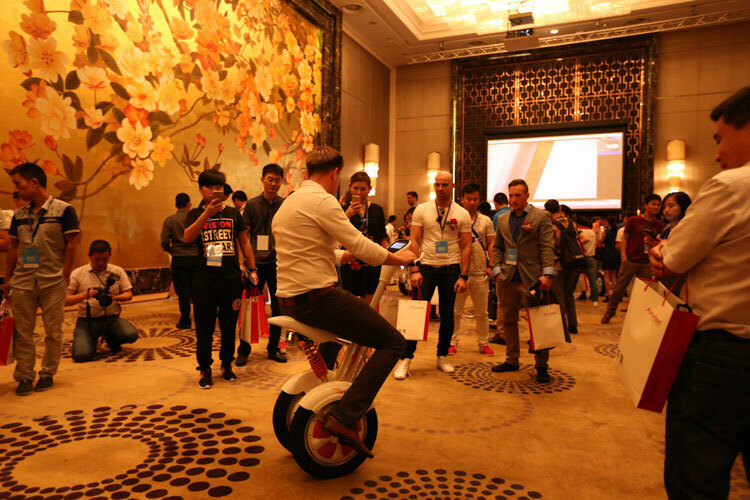 We can get some idea of this scooter only through this release conference and product data published on Airwheel’s official website. Presumably, quite a few fans have ever appreciated pictures of the new A3, through which we find that this A series balancing scooter is rarely designed with a saddle. With automatically flickering turn signals, riders will be safer and more relaxed when making a turn. Airwheel A3, the balancing two-wheeler, weighs more than other scooters. It is about 34kg but can travel farther with its battery capacity of 520WH; it is also equipped with a battery protection module that can effectively prolong service life of a battery. Airwheel A3 is designed into a sitting-posture riding model for the reason of overturning the existing established label of “short-distance riding for the last five kilometers” on self-balancing scooters. Such a design allows scooters to travel farther and become an option for more city dwellers. So it is not that unacceptable for target customers of A3 2-wheeled electric scooter to compromise in weight for longer traveling distance. It is worth mentioning that unicycle A3 is a deeply intelligentized product of Airwheel. A3 is provided with specially developed mobile APPs that can be connected with Airwheel A3 via wireless to monitor real-time dynamic data of the scooter in riding. These APPs are also capable of troubleshooting and warning. In the future, Airwheel will build an intelligent ecosystem to provide more intelligent services for A series scooters. The advent of Airwheel A3 presents another reform in future low-carbon traveling in expectation.